A tractor trailer dropped off a pallet of organic feed onto my tiny dock. This cost me $800 and would only last 3 months. I had organized a feed co-op to save $2 a bag. That brought my 50 pound bag of organic feed to $34. That was the fall of 2013 and it ended up being the last time I ever bought commercial feed for my flock. 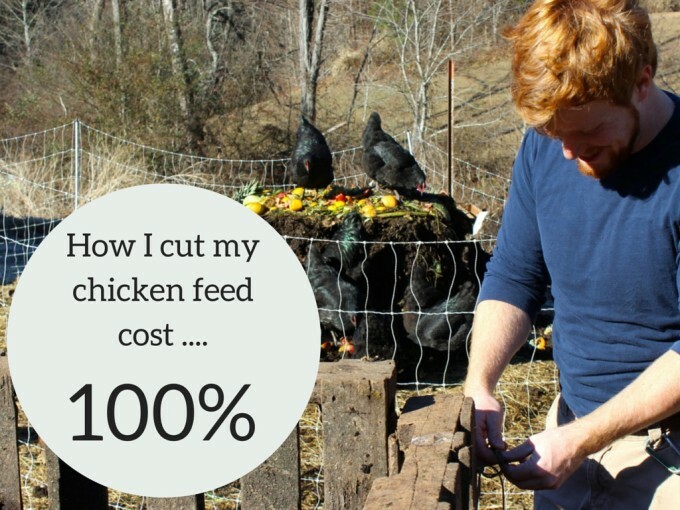 In this article I’ll talk about how I weaned myself from commercial chicken feed and replaced it with free compost and kitchen scraps! Towards the end I’ll offer a free action plan that includes printable instructions on the process and a guide for creating your own compost. Ok, back to my story…. $34 for a bag of feed is not sustainable. My chickens need about 1/3 pound of feed a day. That’s a cost of 23 cents per chicken. On commercial feed, my Black Australorps, at best, were producing an egg every other day. That means I was paying $5.52 a dozen, just on feed! If you added in my cost of equipment, housing, watering systems and labor, I was better off buying my eggs, even at premium free range organic prices, at the farmers market. I knew commercial feed wasn’t going to work so I tried completely free ranging (no fences) and had great success except for all the chicken poop my family and I (especially my wife) kept stepping in. On top of that, they were scratching up the yard and my mulched areas. It seemed like some of their strong points were mis-directed. 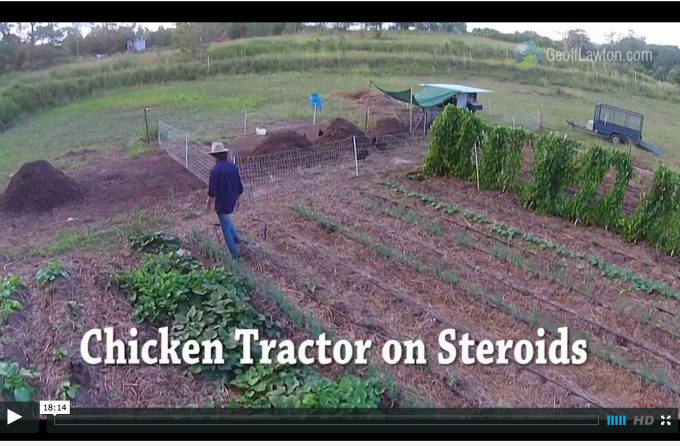 Soon after my commercial feed purchase, my mind was officially blown away by Geoff Lawton’s Chicken Tractor on Steroids. Click here to see the video. 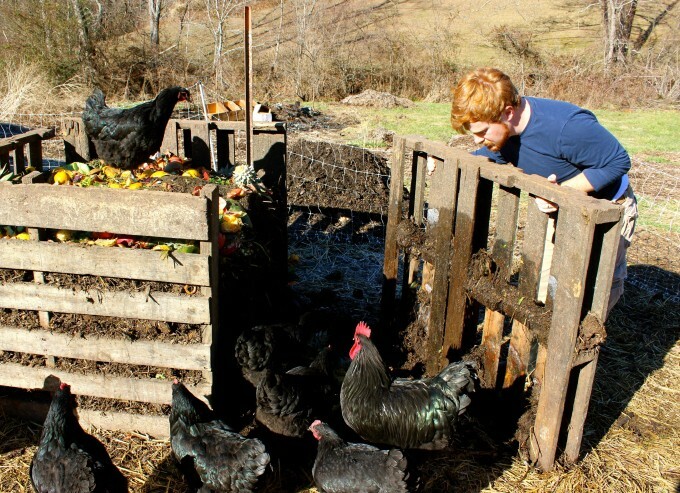 Essentially, Geoff developed a mobile chicken operation in which the chickens are fed solely on kitchen scraps and compost! This was all well and good, but at the time I didn’t need a mobile system. My chickens were confined to a traditional run with deep mulch. I began to brainstorm and developed what I call, the “Compost Run On Steroids”. 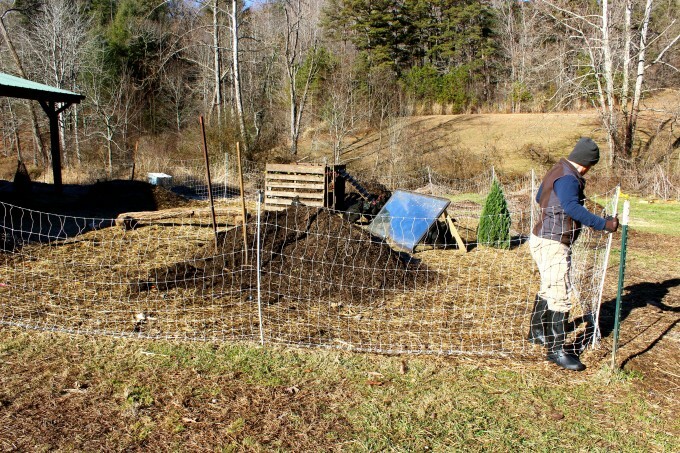 This is a compost program that works inside a large chicken run that produces 3 square yards of compost weekly. The chickens feed on the compost biota (not the compost itself) and food scrap ingredients for a complete food source. You’ll need plenty of material for making compost on site. I highly suggest gathering all of your needed material before assembling. Pile it just outside your fence, or at the entrance so you can easily access it. In order to generate enough heat for your pile, you’ll need at least 1 cubic yard of material. You will need both carbon “brown” and nitrogen “green” materials. Most of your material should be carbonatious. Imagine enough material to fill a bin of pallets as you build your stash. 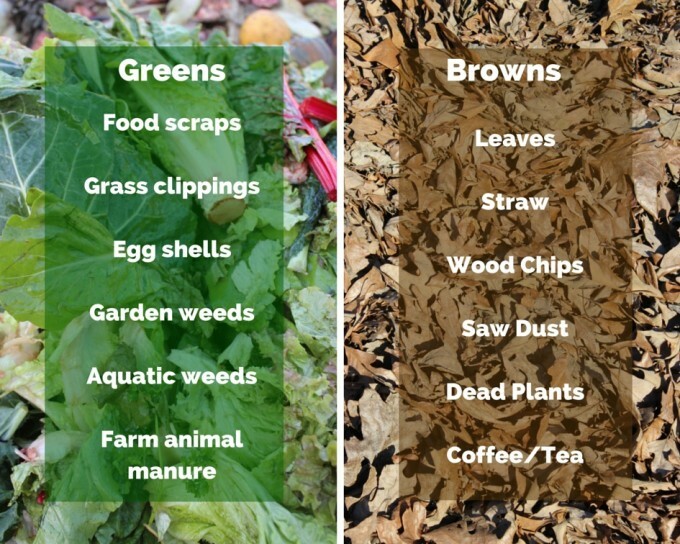 If your not sure how to properly mix a compost pile. 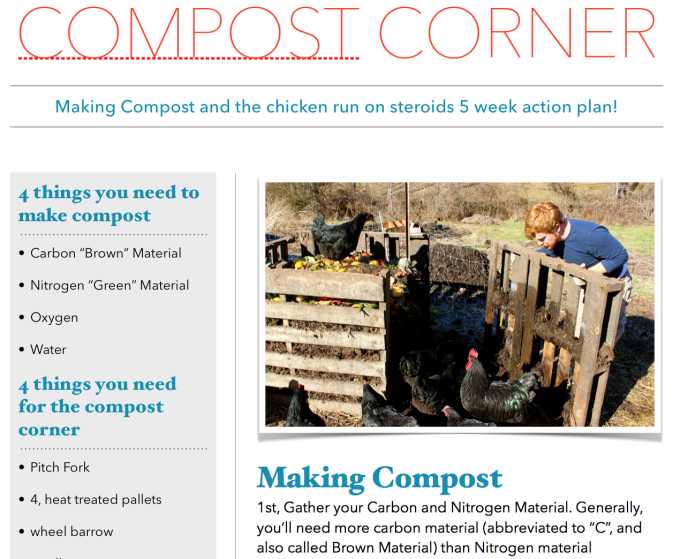 Download my free (compost action) plan here. This plan also includes a weekly checklist for creating the Compost Run on Steroids. If your not already, start a “chicken scrap bucket” in your house and throw ALL your food scraps in this as feed. 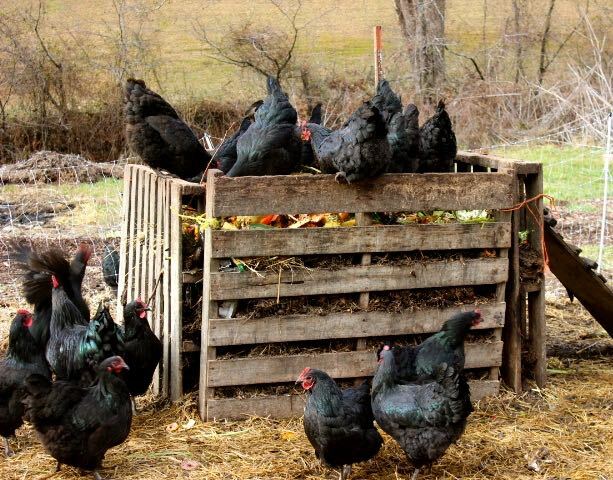 Since your composting, you can include “organic”, non edible material like flowers, cardboard, paper etc… If the chickens doesn’t eat it, your compost will! For a larger source of scraps, check out your local health food stores and ask a produce manager if you can have their “throw away” fruits and veggies. Most co-op’s and health food stores are probably already saving this stuff for folks to pick up. They save money on dumpster costs and keep this useable “trash” out of the landfill. One of our health food stores always has at least 3 – 10 trash bins full of food scraps outback for a local composter. The managers allow anyone to collect it as long as they clean up after themselves. Make sure you get heat treated (HT) pallets, not pressure treated. Each pallet should be labeled. If it’s not labeled, just adopt the policy of “when in doubt, throw it out”. You don’t want those chemicals in the foundation of your food supply. Pitch Fork – for pitching the compost. Wheel barrow – for bringing in compost material and hauling off the finished goods. 4, small ropes, bungies or some other kind of strap. 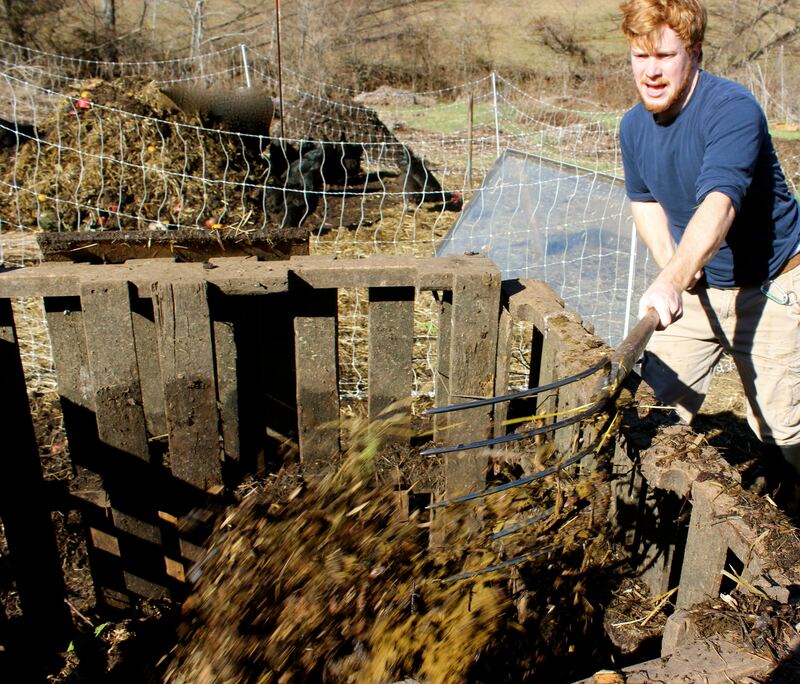 Continual Flow of Compost in Just 5 Weeks! Have your compost material assembled near the entrance of your run so it’s easily accessible. Better yet, put it just outside the fence where your pile will be, if you can throw it over. 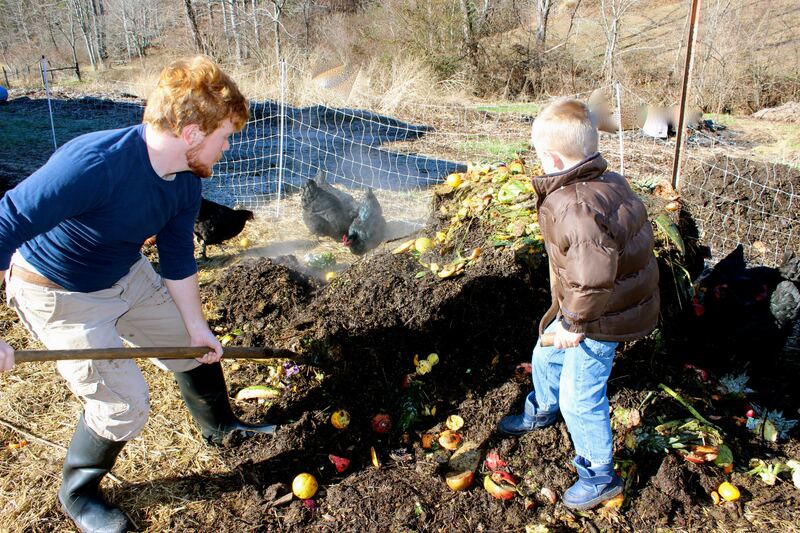 You can check the temperature of the pile throughout the week with a compost thermometer. Your ideal heat is between 130-160 fahrenheit. If it’s not getting hot enough within 24 hours it’s probably not wet enough and/or you have too much carbon brown material and need to mix in some more green material when you turn the pile next week. Remove your pallets from your week #1 pile and assemble the pallets in your next corner. You can rotate clockwise or counterclockwise, just go the same way each time. 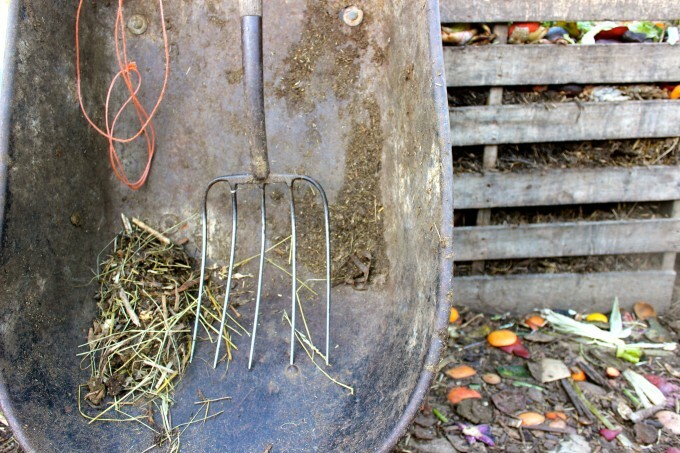 Now fill the bin with new compost material and flip your week #1 compost. If done right your birds will be extremely interested in the biota. 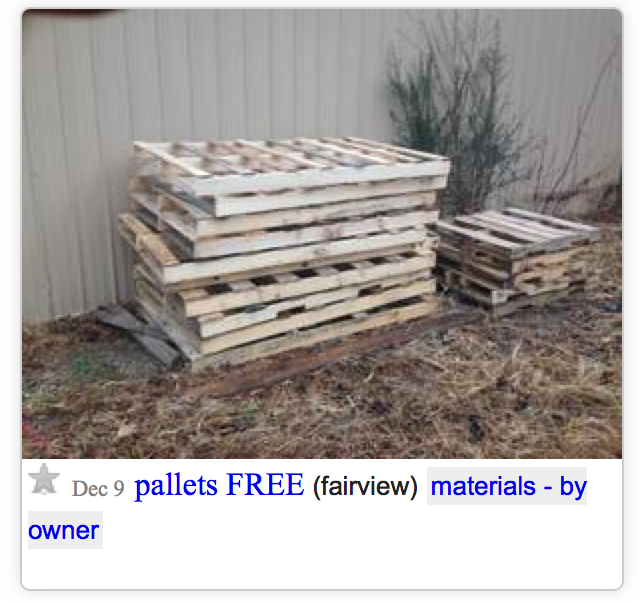 Remove your pallets from week #2 pile and assemble them in your next corner and fill. Now, turn your 1st and 2nd piles. You’ll start to notice the progression of your piles. The chickens will eventually start showing less and less interest in the older, less active piles. The pile temperatures will start to drop. However, your piles shouldn’t shrink too much, nor should they smell bad. If this is happening, you’re losing nitrogen to the atmosphere as you don’t have enough carbon to capture it properly. If that’s your case, add more carbonatious brown material next week when you turn your pile. Here’s a picture of us turning a pile. Notice the steam coming from the heated pile! Remove your pallets from week #3 pile and assemble them in your 4th and final corner. Fill the bin and turn your 1st, 2nd and 3rd week piles. Harvest your finished compost from your first week and apply where needed! Start over by removing your pallets from corner #4 and assemble them in your 1st corner. Flip the 3 remaining piles. Now, you’ll be on a four week cycle. To see how others are combining compost and chickens, check out this thread at Permies.com. The compost attracts countless biota, which is a live protein source for your birds. Between the biota and your kitchen scraps, I’ll venture to guess this is a higher quality feed than stale commercial grain. 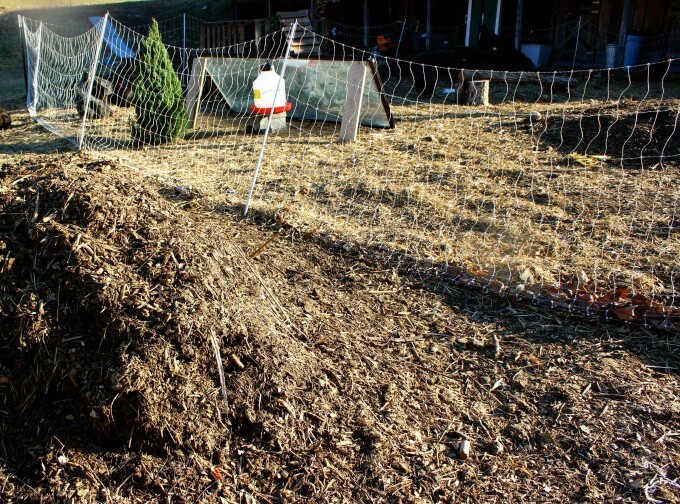 Not only do you get free, higher quality feed, you’ll get a cubic yard of compost each week. Just the compost harvest from 1 week is enough to cover a garden bed 1” that’s 15’X20’! That’s ample enough patch to keep a family of four in vegetables all summer long! From Spending $267 a month to Profiting $80! I did notice that my production rates became less consistent, probably because of my inconsistencies in my learning curve. However, I still get sufficient amount of eggs and meat from my flock of 30 for our family of 6. What’s changed is my stress level during the fall and early winter when they’re production slows. If they slow down, I’m not out any money, but I’m still getting a cubic yard of compost every week. A quick search online showed a cubic yard of compost selling from $20-$75 in my aread. So if you didn’t need all that compost you could sell it. Let’s add up the total value here. 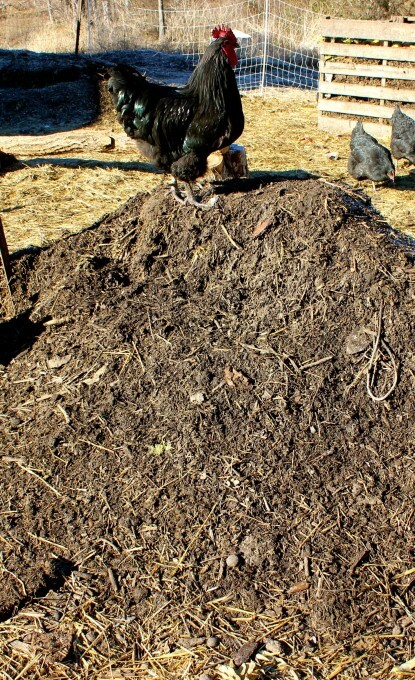 I went from paying $267 a month in feed to getting at least $80 in compost. Here’s my FREE Compost Corner Action Plan. 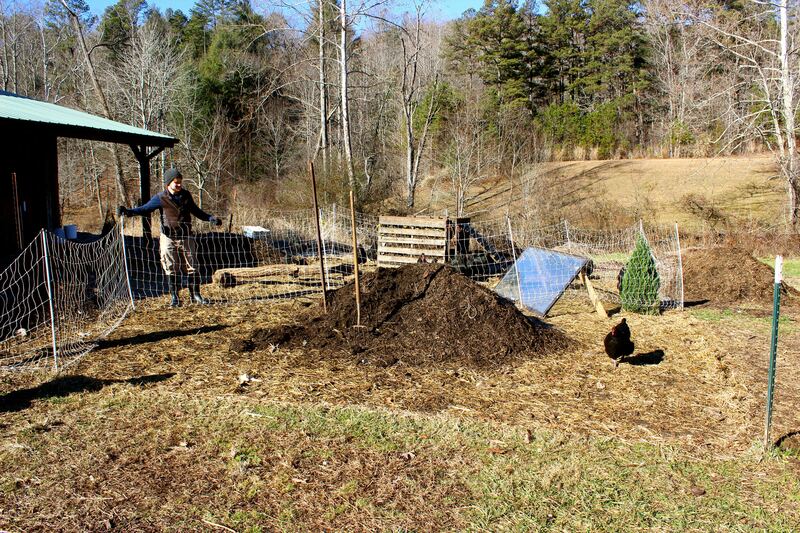 The plan includes a weekly checklist and detailed info on how to properly assemble a compost pile.